For more than seven years, "Company LN" is developing technologies sweetening crude oil. As a result of the huge amount of research has developed a unique in its stability composite catalyst to effectively oxidize the mercaptan mixtures of different compositions in a wide range of temperatures. 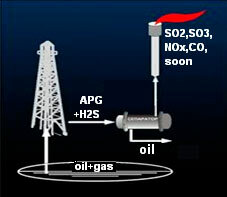 With the use of the catalyst for our company developed a laboratory method for the oxidation of mercaptans in gas streams of primary distillation of crude oil.Based on the methodology developed industrial flow sheet oxidative catalysis, which is integrated in the pilot of a pilot plant and small power was repeated tests. At the experimental industrial plant worked optimum conditions sweetening depending on the composition of the purified material. At the moment, the system is designed to scale the technology in industrial applications in a wide range of capacities. We offer you the technology APG directly from fields in the target products methane and LPG. Oil from the field enters the oil storage facility designed for the first and second stages of oil separation. 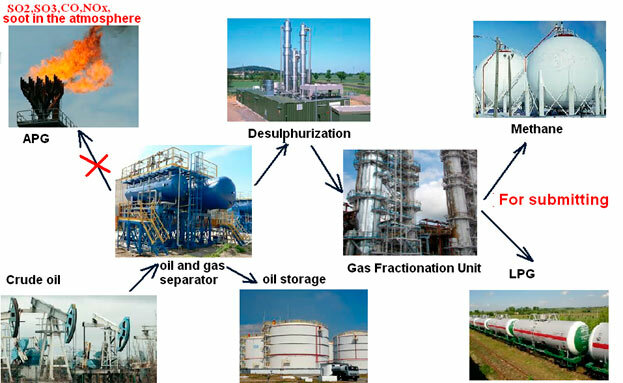 The existing technological schemes in the separated in oil and gas separator gas into gas separator, where applied to gas metering and high pressure to the flare for burning. 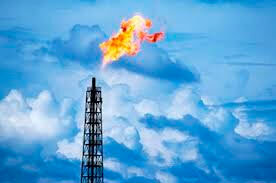 Residual gas enters the gas separator, where served on metering of gas and low pressure to the flare for burning. "Company" LN "offers not recycling, and the proper treatment and processing technologies into marketable products associated gas.